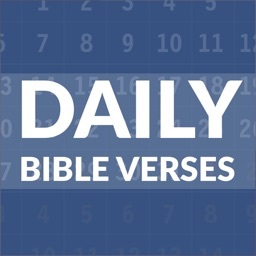 - Have Bible verses at your fingers at all times! 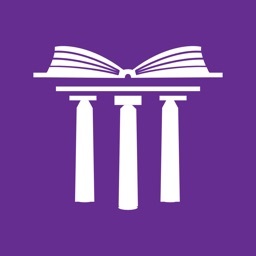 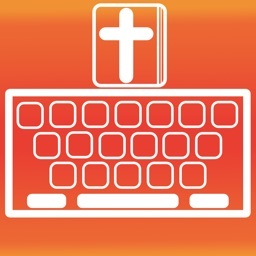 - Each category and verse is hand picked to give you the best experience. 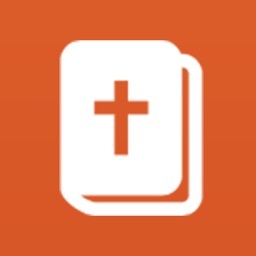 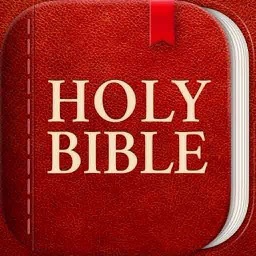 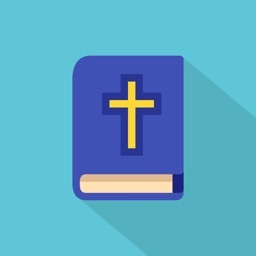 - Spread God's Word in an easy and convenient way! 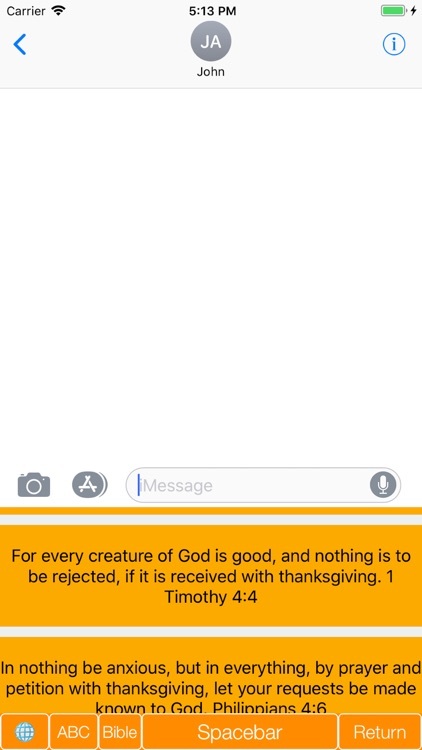 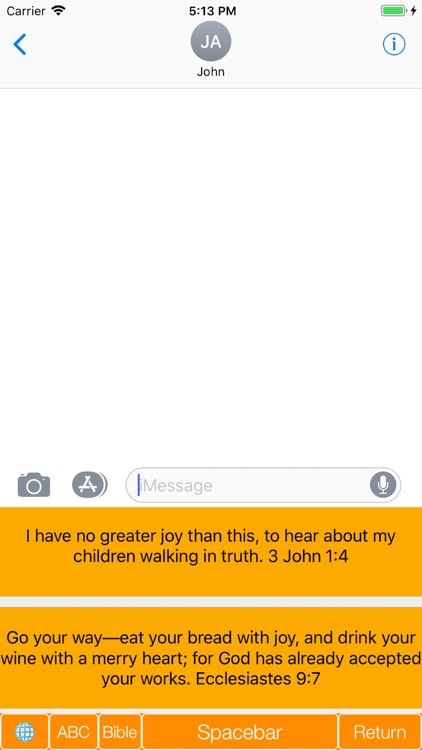 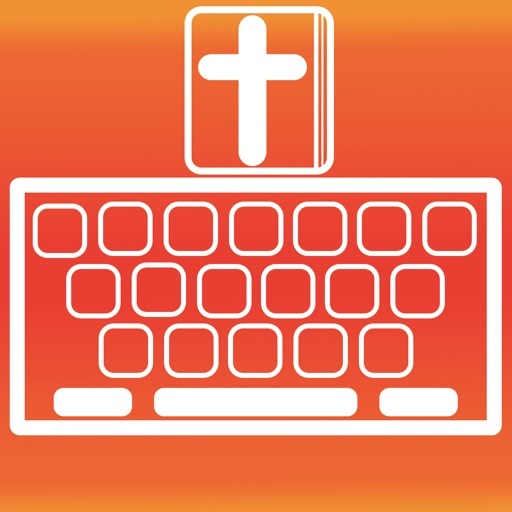 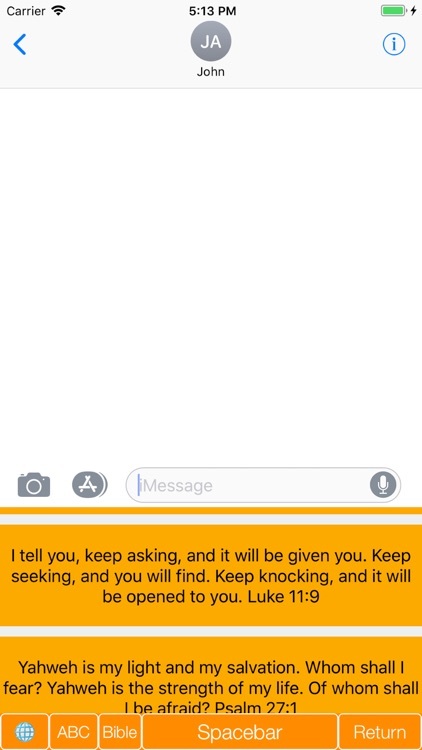 - Bible Verse Keyboard does NOT require the user to "Allow Full Access", like other keyboards.